Apollo Theater adding two new performance spaces; Neil La Bute returning to Off-Broadway. THE SHOW "The New One"
THE DEAL Considering how relatable Mike Birbiglia comes across in the one-man show about his life as a new dad, it makes sense that he is reaching out to the public with the opportunity to become his “understudy.” “I’d love to have an understudy. I’d love to see what it would like look, if someone else were performing my lines,” Birbiglia said on the show’s website. 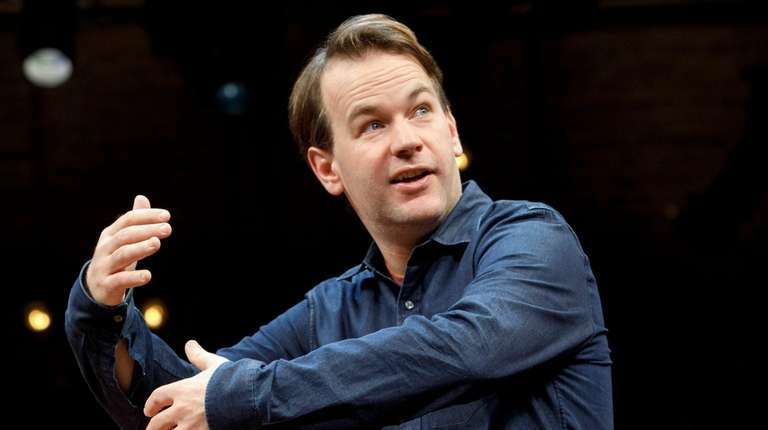 To be considered, film yourself doing a short monologue from one of Birbiglia’s earlier shows. The winner — who will not actually become his understudy — will receive $1,000 and the chance to perform the monologue onstage at the Cort Theatre. THE DEAL The new theater company composed exclusively of people with disabilities, will premiere next fall with a production of Shakespeare’s “A Midsummer Night’s Dream.” Members of the company’s advisory committee include Ali Stroker (“Oklahoma!”), Katy Sullivan (“The Cost of Living”) and Jamie Brewer (“Amy and the Orphans”). “People with disabilities deserve to see successful professionals at the top of their game. … Americans will get to encounter many such artists at NDT,” co-executive director Mickey Rowe said in a welcome letter. THE DEAL A year ago, MCC Theater inexplicably terminated its longstanding relationship with LaBute, the Off-Broadway company’s playwright-in-residence, and canceled a planned production of his new play, “Reasons to Be Pretty Happy.” While the MCC situation remains a mystery, three new one-act plays by LaBute will be presented Off-Broadway next month by the St. Louis Actors’ Studio as part of “The LaBute New Theater Festival” at the Davenport Theatre.